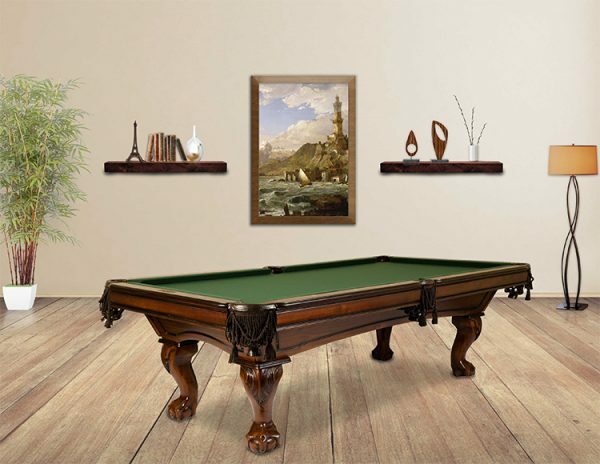 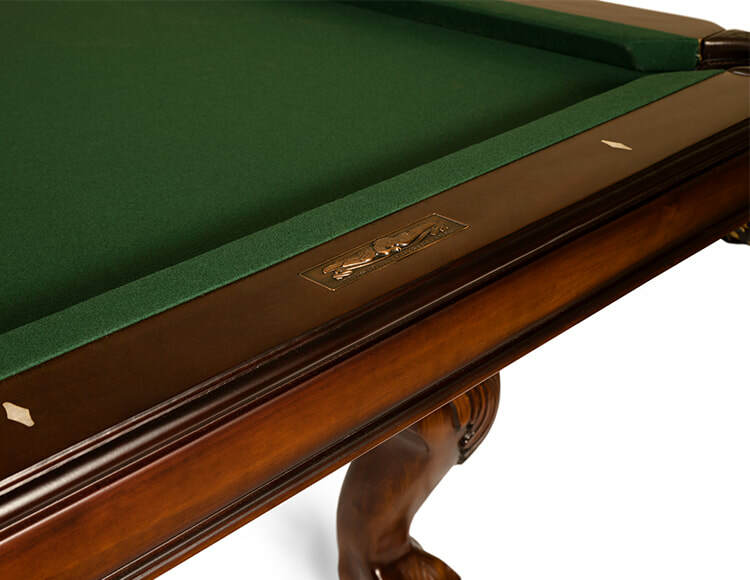 The Monroe is a classic billiard table crafted from African hardwood. It has a distressed Walnut finish with dark highlights. 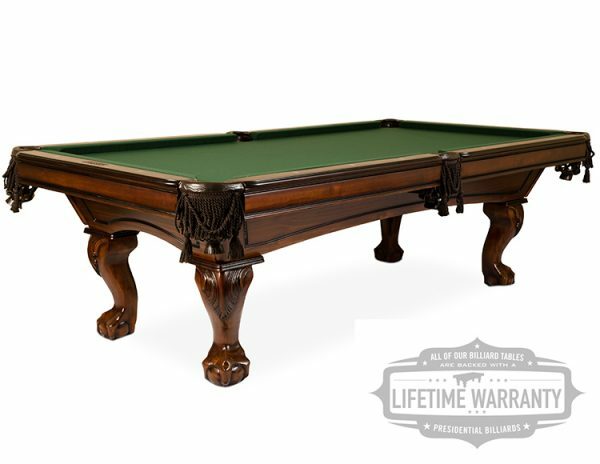 The two-tone finish on the Monroe hardwood billiard table accentuates the detailed ball and claw pool table leg carving.